London (AFP) – Could Meghan Markle really face the same fate as Princess Diana? Britain’s newspapers on Wednesday angrily challenged US actor George Clooney’s claim that their treatment of Prince Harry’s wife resembled the hounding of his late mother. Clooney, who attended the couple’s wedding last year, on Tuesday stirred up a hornet’s nest of discontent by accusing the London tabloids of giving the new Duchess of Sussex “a raw deal”. 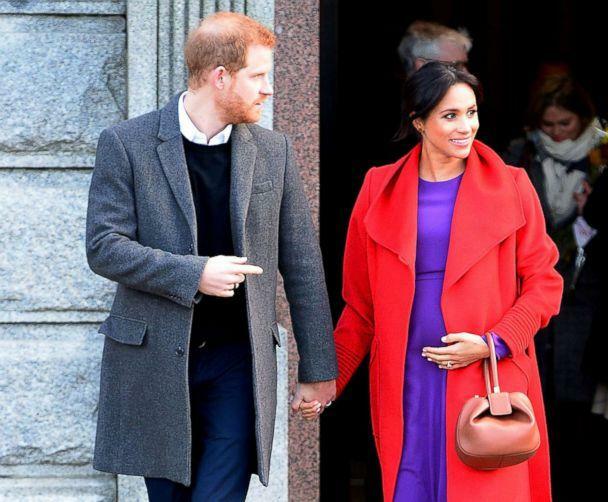 “She’s a woman who is seven months pregnant and she is being pursued and vilified and chased in the same way that Diana was,” the Hollywood superstar told Australian magazine WHO during an interview in Los Angeles. Meghan, 37, was said to have been tough on staff, with tensions also reported between her and Prince William’s wife Catherine. “George Clooney’s claims of Meghan Markle and Diana are utter fantasy,” The Times declared. And celebrity TV presenter Piers Morgan penned an article in the Mail Online asking if Clooney was “a REAL friend or just another famous person Meghan’s latched onto at the expense of those who, until recently, she professed to care about”. Most of the recent headlines have been about Meghan’s father. But the bigger question facing British society as a whole is whether the papers’ two-decade truce with Buckingham Palace is coming to an end. “I haven’t heard that Meghan is complaining of the paparazzi. I’ve never heard anyone talk about that being a problem,” Junor told AFP. “That’s a very dangerous thing to do and it did eventually blow up in her face,” Junor said.